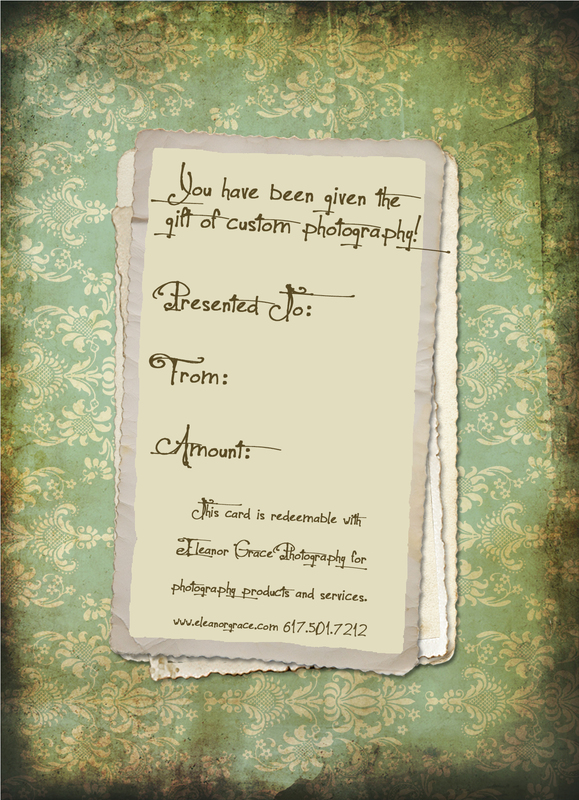 Now available – Eleanor Grace Photography gift certificates! These make for a wonderful surprise and can be used throughout the year! All of the Dads out there could pick one of these up and totally become a hero for Mother’s Day (which is just around the corner!). They are a great gift for moms-to-be, new parents, as a birthday present, for a recently engaged couple or the super busy family! Gift certificates may be applied to any type of session you would like – family, newborn, children, maternity, engagement & boudoir. Available in any dollar amount, they can be applied to a session fee or prints/albums/wall portraits, etc.